As the Fourth Industrial Revolution reshapes the economy, businesses must confront the challenges of preparing their people for the new world that lies ahead. A report from Salesforce Research shows that 59% of hiring managers believe that AI will impact the types of skills their companies need. Of chief concern economically, socially and politically is the need to upskill workers to keep pace with technological advancements. Not only will skill sets change continuously, but they will also need to be updated over and over again during the course of a workers’ career. During Dreamforce ‘18, an all-star panel of senior Salesforce executives across four disciplines joined together to discuss this unprecedented era of workforce change. Participating in the discussion were Ebony Frelix, Executive Vice President and Chief Philanthropy Officer; Ana Recio, Executive Vice President of Global Recruiting; Sarah Franklin, Executive Vice President and General Manager of Salesforce’s online training program, Trailhead; and Ann Weeby, Director of Workforce Innovation. Weeby pointed out that businesses will increasingly need to partner with colleges and universities to help them develop curriculums that properly prepare students for today’s workforce. “There are so many new skills that we’ll need in the future, and so we need to make sure that the educational institutions know about all of the jobs coming and that we are really creating a bridge from education to implementation,” she said. What businesses also need to do is build more “on-ramps” to employment to enable more people to reach their dream jobs, Frelix added. 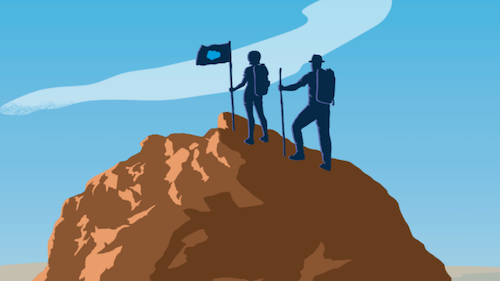 Recio pointed to Salesforce’s Pathfinder training program, created in 2017 in partnership with Deloitte. Piloted in Indianapolis, the program aims to equip local workers with the technical and business skills needed for careers in the Salesforce ecosystem. Pathfinder has already shown concrete results, with Deloitte hiring 20% of the newly upskilled participants. Frelix stressed that the success of nontraditional programs such as Pathfinder challenges the mantra that if you want to get ahead, you need to go to college, and if you really want to get ahead, you need a Master of Business Administration (MBA). In the world of the Fourth Industrial Revolution, some already see vocational training as the new MBA. “What I love about non-traditional pathways is that there is already a certain amount of grit, hunger, and drive in the individuals who sign up for them. It’s the same qualities of grit and drive that’s required to get an MBA,” she said. The panelists stressed that companies that prize diversity will be better equipped to withstand future workforce disruptions. As they pointed out, study after study has confirmed the business benefits of workforce diversity, showing how it drives both innovation and results. The Petersen Institute for International Economics, for example, surveyed 22,000 companies across 91 countries and found that companies with 30% female executives make 6% more in profit. Traditionally, the diversity record among technology companies has been patchy. In the U.S., the proportion of female workers across the sector is only 18%, and among developers it falls to single digits. But Franklin noted that in the Salesforce ecosystem, from architect to administration, the proportion of women averages 25%, while an extraordinary 48% of Salesforce administrative staff members are women. The panel also discussed how, with as many as 50% of Generation Z identifying as “mixed race,” universities are now starting to graduate female and mixed-race technologists at an ever-increasing rate. 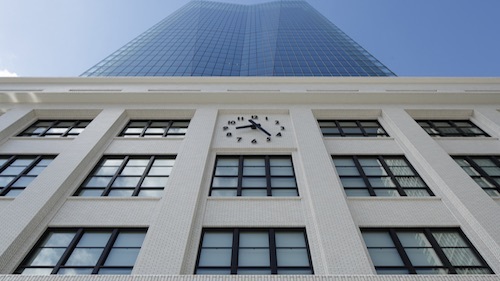 This is delivering a robust and diverse supply of potential employees that is reflected in the diversity programs at Salesforce. The panel discussed that while it’s important to equip adults with the skills they need to re-enter the workforce, it’s equally important to nurture those already in the workforce. Training and engaging current employees is as fundamental as training and engaging the wider community. From tech skills to soft skills such as interviewing and team management, the learning process must be constant, said Franklin. That’s why Trailhead offers more than 500 free online learning modules and projects, on subjects ranging from basic app design to data migration and service cloud setup. 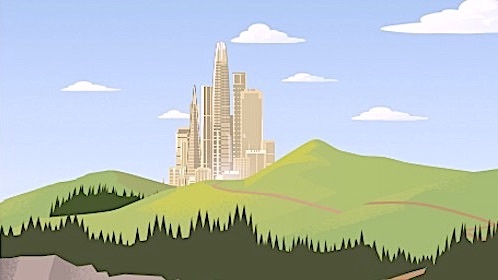 Strategic partnerships with major companies including Google, Amazon, Apple, and IBM are broadening the scope and delivery of Trailhead’s credentials. Ann Weeby’s own career demonstrates how people can reinvent themselves with the help of training if given the chance. Her first full-time job was in the U.S. military, where she was deployed to Iraq. Now, she’s helping Salesforce find and train its workforce of the future via non-traditional pathways. 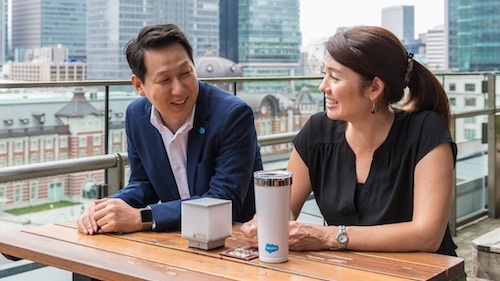 She heads Vetforce, which trains and certifies service members, veterans, and their spouses in Salesforce skills and then connect them to jobs with customers and partners in the Salesforce ecosystem.